I just can't stay away! Yet again i'm home from a week in Berlin! It was fourth I was there so i know centrum pretty well now. This time i brought my parents like i did with London. My dad is the biggest IIWW geek ever, so i though it was THE palce for him, but he didn't knew what he wanted to see, so before the trip i did read a whole lot about the war and the different monuments, so i could guide them around and tell my dad a lot he already knew about the places, but was too lacy to suggest we should see. lucky for me i am a somehow experienced traveler by now, so i could show them the turist side of Berlin and a bit of the underground in between, but more about that later. 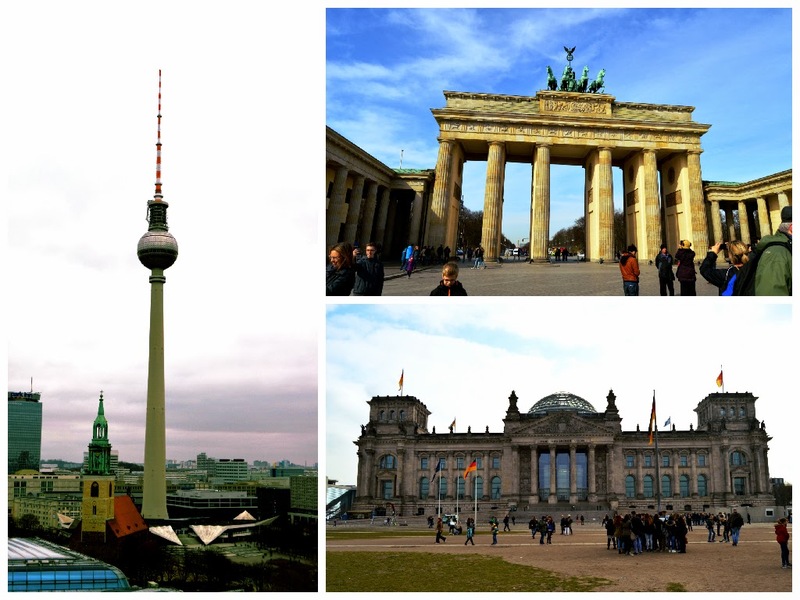 Here is some nice pictures of the turist side of Berlin. 2. Brandenburger Tor - the gate at the end of Under Den Linden was a royal entrance to the emperor castel which once where in the other end of Under Den Linden. It was right in between the castle and the summer castle Charlottenburg which is still there. Much of it is reconstruction because of IIWW. 3. Reistag - the german parliament building. One of the last places that was invaded by the russian at IIWW. If you go up close you can see all the gunshot holes in the building. You can buy a ticket to walk in the glass kubel on top of the parliament, but again there is normaly a long queue and some days they don't let that many in, if there is something political important going in there. I have never been inside but i have heard that the only was to make sure you get in (and skip the queue) is to reserve a table in the cafe in the kubel. 4. Siegessäule - The Berlin Victory Column from from when they beated the danes in the war 1864.Not going to say that i'm thrilled about this one, but it pretty nice to look at, even though it is kind of a kick in the face for my ancestors. But now that you walked all the way out to this column, then take a walk in the huge forest Tiergarden, which it is in the middle of. There is a few squirrel in there you can feed and a lot of monuments for som authors with a lot of flowers and small lakes around. 6. Spree - the river that runs though Berlin. 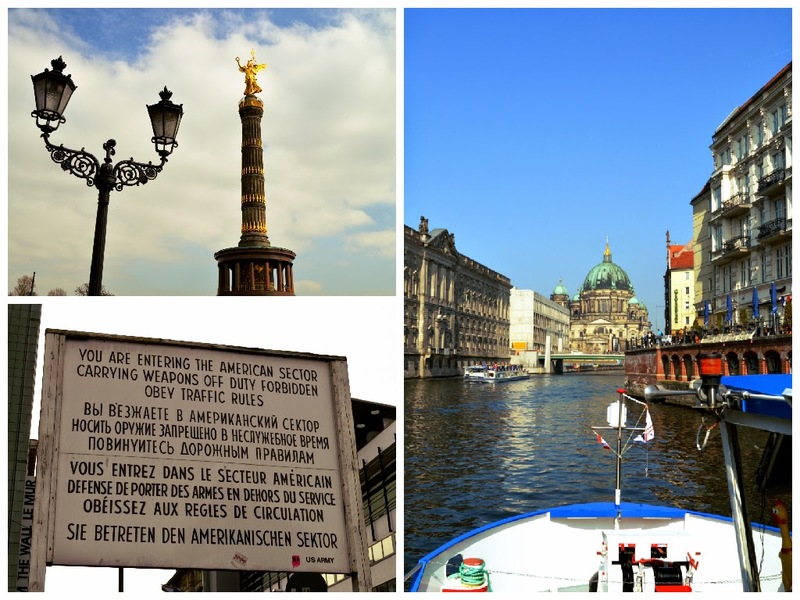 If you visit the museum island or Berliner Dom (the Berlin Cathedral), you will see these platforms with turist boats. You can buy a 1 or 3 hours trip and it is a great way to relax the feet and still see Berlin. We did this at the fifth day and it was so relaxing. But one thing! Even if it pretty hot and no wind ashore, a magic wind always appears on the water. It makes no sense but remember an extra shirt or something!